Heather McGannon serves as the Director of Projects and Planning for the Minnesota Department of Labor and Industry, her key responsibilities include development and implementation of the Minnesota PIPELINE Project, Minnesota Apprenticeship Initiative grant, the United Way Youth Career Connection Project in information technology and advance manufacturing, Minnesota Apprenticeship Expansion grant and other innovation projects for the agency. Her work focuses on collaboratively aligning employment based workforce programs and initiatives with government agencies, community-based organizations, trade associations, and education institutions. 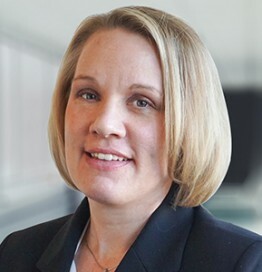 Prior to her work with Department of Labor, Heather served as the Interim Dean of Workforce Training and Continuing Education at Saint Paul College, where she was instrumental in innovating and growing new business partnerships for the college. She also served in organization, program, workforce and business development roles in the Minnesota State System and in the private sector. Heather is a graduate of the University of Minnesota (B.A), and holds a Masters in Management from St. Mary’s University.